﻿This Compass Is Solid Brass Compass. It Is Beautiful Compass For Collectors.﻿ We have a large selection of magnificent nautical compasses .This beautiful brass compass is in good working condition. 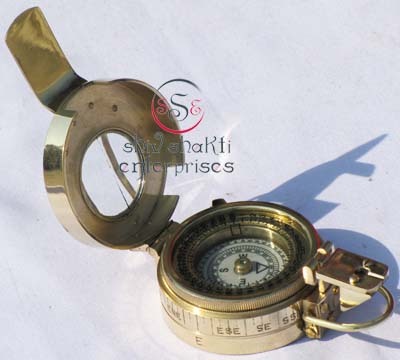 This antique compass looks Push Button Compass It has a brass trim and a smaller face. A push button connected to a ring when pushed will pop open the compass and reveal a Antique mirror-like back lid. Front Engraved This Push Button Compass. 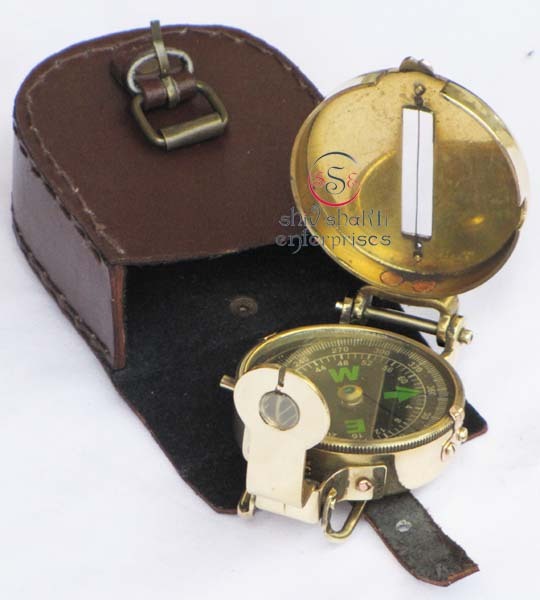 This antique compass looks Push Button Compass It has a brass trim and a smaller face. A push button connected to a ring when pushed will pop open the compass and reveal a Antique mirror-like back lid. Front Engraved " THE MARY ROSE 1511-1545". 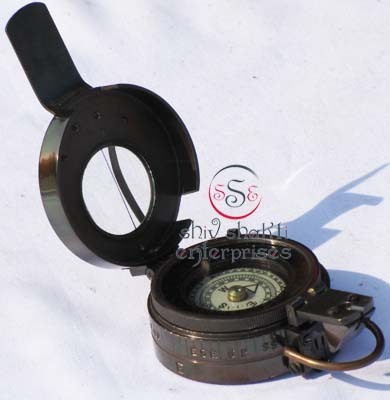 This antique compass looks Push Button Compass It has a brass trim and a smaller face. A push button connected to a ring when pushed will pop open the compass and reveal a Antique mirror-like back lid. 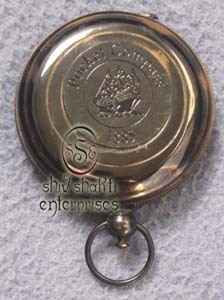 Front Engraved "POCKET COMPASS 1885"
This antique compass looks Push Button Compass It has a brass trim and a smaller face. A push button connected to a ring when pushed will pop open the compass and reveal a Antique mirror-like back lid. 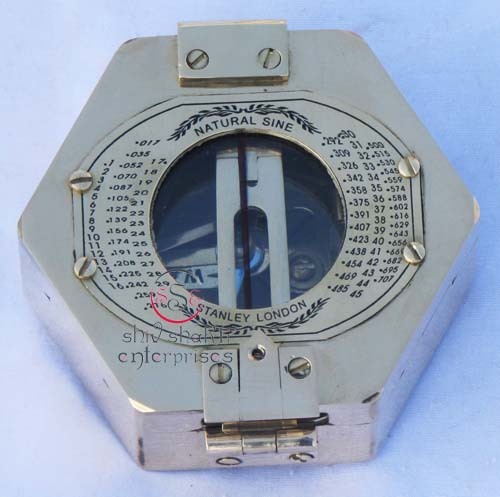 ﻿This antique compass looks Push Button Compass It has a brass trim and a smaller face. A push button connected to a ring when pushed will pop open the compass and reveal a Antique mirror-like back lid. Front Engraved "Stanley London 1917". 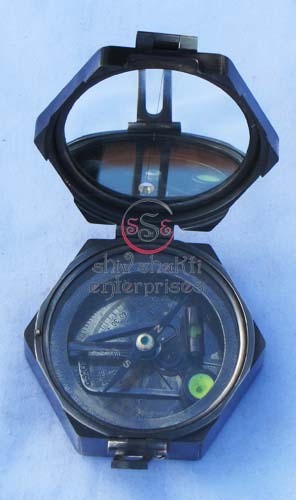 ﻿THis cover is use for any push button compass. We have lot for push button. All work is hand made. Beautiful gift for collector. ﻿This Box is use for any push button compass. We have lot for push button. All work is hand made. Beautiful gift for collector. Made of wood. 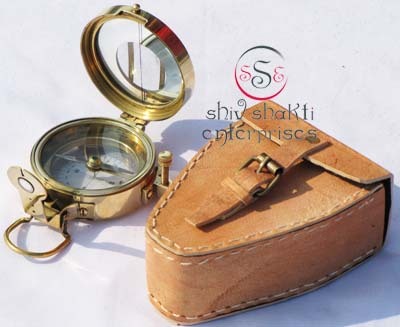 Size:- Compass dia:- 10cm & 10 x 9.7 x 3cm﻿. 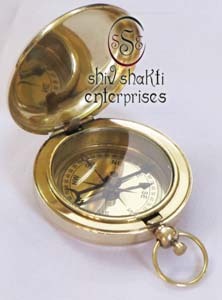 This is a reliable large size brass polished Brunton Compass that comes in a hardwood box with brass inlay. This is an antique Compass. 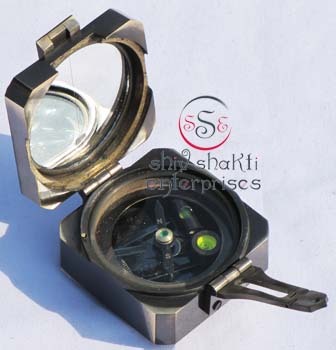 Size:- Compass dia:- 7cm & 7.6 x 7 x 3cm﻿. 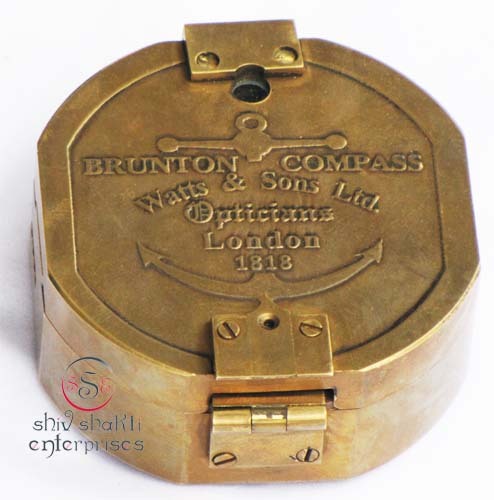 This is a reliable large size brass polished Brunton Compass that comes in a hardwood box with brass inlay. This is an antique Compass. 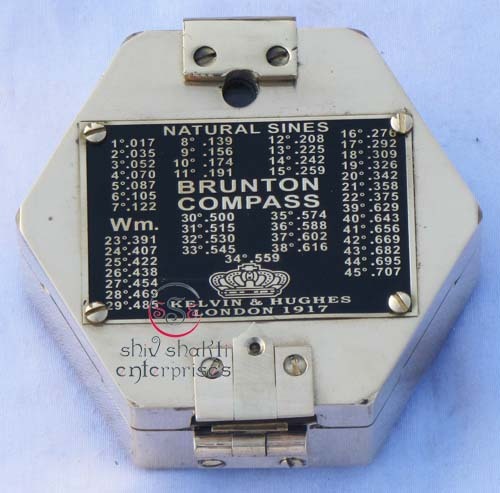 This Brunton Compass measures 7.6 x 7 x 3cm. This compass is made of fully brass. 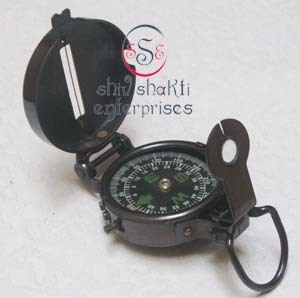 Size:- Compass Dia:-5.5cm. 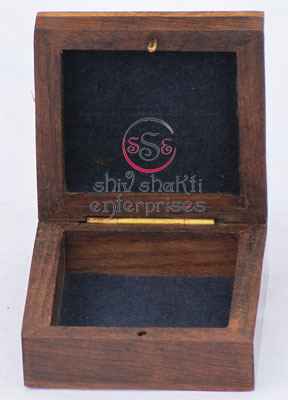 & 5.4 x 5.5 x 2.8cm & box size- 8.8 x 8.8 x 6cm﻿. This solid brass compass is durable and heavy for its size. It is a functional compass and has a lid. Inside the lid is a mirror.﻿﻿ This is a reliable large size brass polished Brunton Compass that comes in a hardwood box with brass inlay. This is an antique Compass. This compass is made of fully brass. 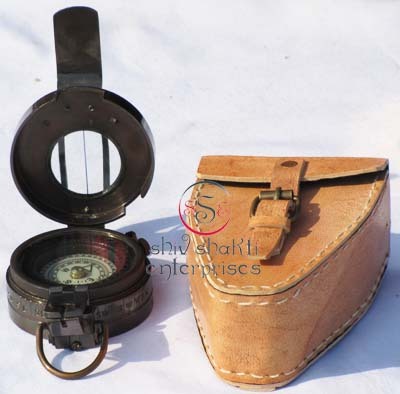 Size:- Compass Dia:-10cm. & 9.9. x 9.7 x 3.1cm﻿. This solid brass compass is durable and heavy for its size. It is a functional compass and has a lid. Inside the lid is a mirror.﻿﻿ This is a reliable large size brass polished Brunton Compass that comes in a hardwood box with brass inlay. This compass is made of fully brass. 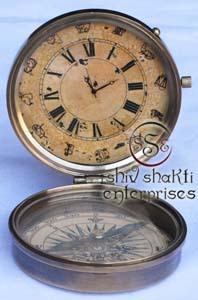 Size:- Compass Dia:-10cm. & 9.9. x 9.7 x 3.1cm. This solid brass compass is durable and heavy for its size. It is a functional compass and has a lid. 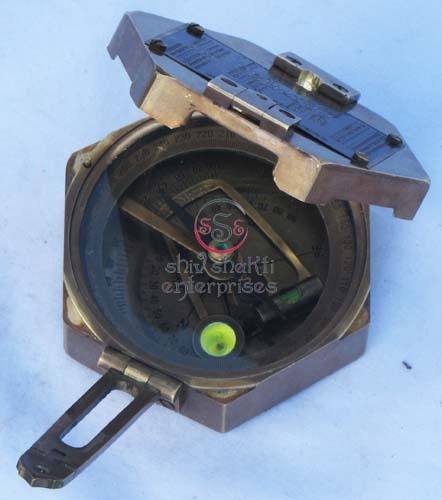 Inside the lid is a mirror.﻿﻿ This is a reliable large size brass polished Brunton Compass. This compass is made of fully brass. This solid brass compass is durable and heavy for its size. It is a functional compass and has a lid. Inside the lid is a mirror.﻿﻿ This is a reliable large size brass polished Brunton Compass. This compass is made of fully brass. 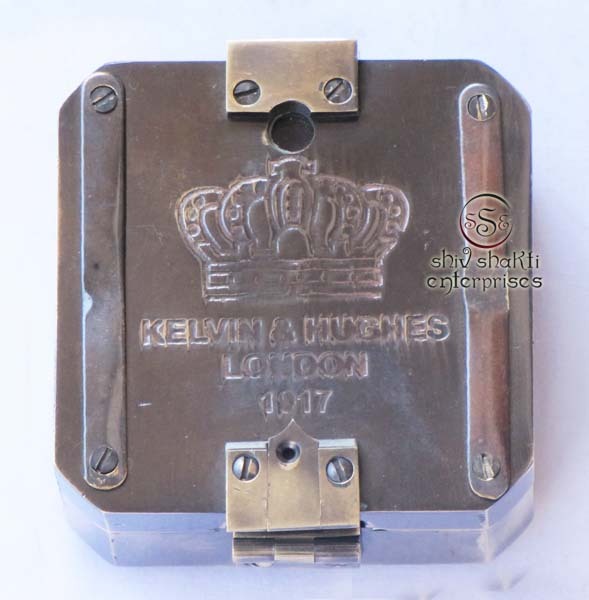 Engraved in front "KELVIN & HUGHES LONDON 1917". 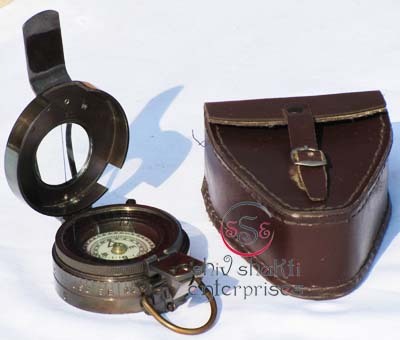 Size:- Compass Dia:- 6cm & 6 x 5.5 x 2.8cm﻿. This solid brass compass is durable and heavy for its size. It is a functional compass and has a lid. Inside the lid is a mirror.﻿﻿ This is a reliable large size brass polished Brunton Compass that comes in a hardwood box with brass inlay﻿. This compass is made of fully brass. This solid brass compass is durable and heavy for its size. It is a functional compass and has a lid. 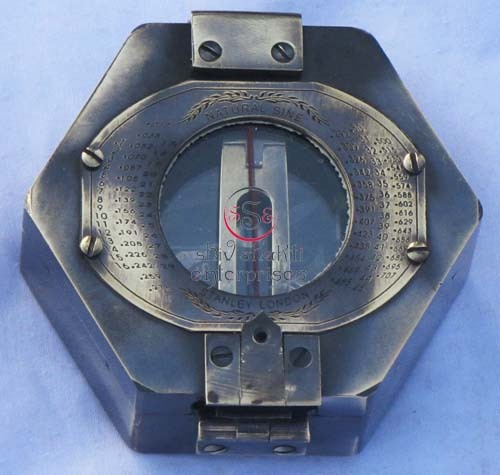 Inside the lid is a mirror.﻿﻿ This is a reliable large size brass polished Brunton Compass. This compass is made of fully brass.Engraved in front side "KELVIN & HUGHES LONDON 1917". 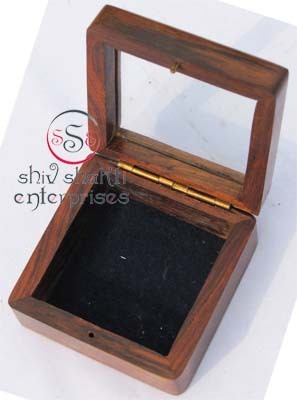 Size:- Ht:-4cm., Wide:-5.9cm. 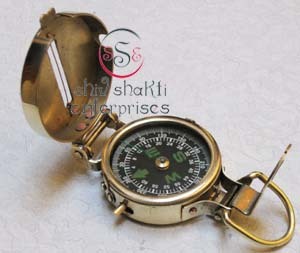 & Compass Dia:- 4.1cm﻿. It is a functional compass and has a lid. This Compass Is Solid Brass Compass. It Is Beautiful Compass For Collectors.﻿ It Show north exactly. 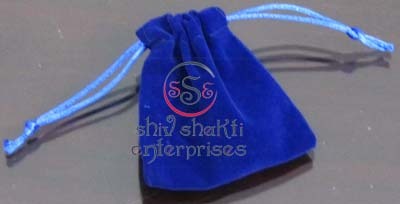 Size:- 7.6 x 1.8cm. 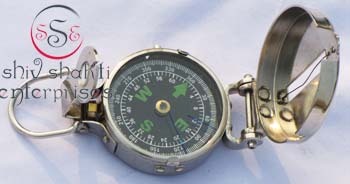 & Compass Dia:- 4.9cm﻿. It is a functional compass and has a lid. This Compass Is Solid Brass Compass. It Is Beautiful Compass For Collectors.﻿ It Show north exactly. 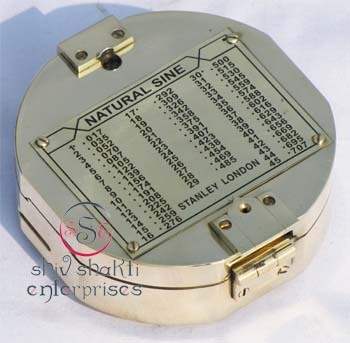 The compasses offered by us can also be customized according to the specific requirements of our clients. 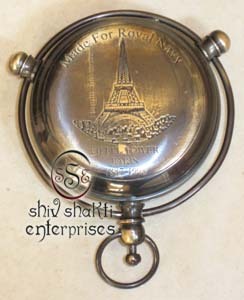 Size:- Compass -9.8 x 2.5cm. & Compass Dia-5.5cm & Cover-10.5 x 8.2 x 4cm Dia-5.5cm. 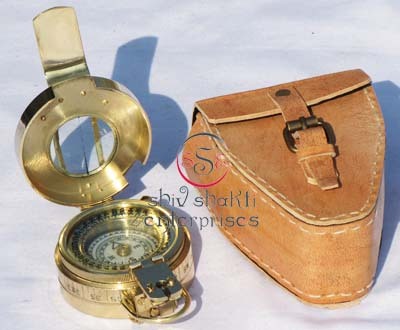 Size:- Compass -8 x 7 x 2.5cm Compass Dia-5.9cm & Cover-10.5 x 8 x 4.5cm﻿. 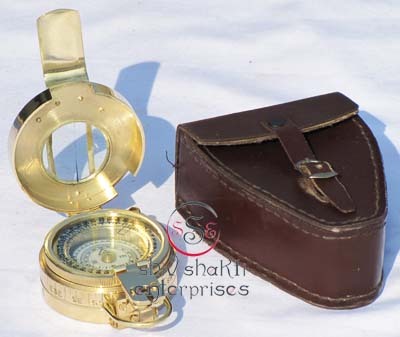 Size:- Compass -9.5 x 6 x 2.5cm Compass Dia-5.6cm & Cover-10.5 x 8 x 4.5cm﻿. These compasses do not seem to have been liquid filled, athough other types of were, however short of taking it apart it is impossible to be sure.﻿ A very nice Prismatic Compass, functions correctly (would need calibrating before being relied on for actual navigation), degree markings to 360. Overall VGC, brass case, compass glass intact but thin cracks to cover glass. This Compass Is Solid Brass Compass. It Is Beautiful Compass For Collectors.﻿ We have a large selection of magnificent nautical compasses .This beautiful brass compass is in good working condition. 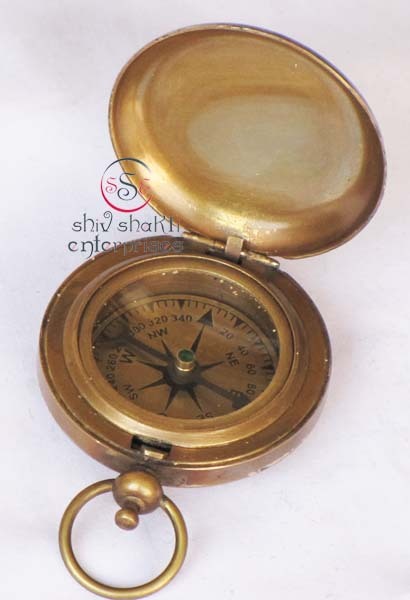 It Is Beautiful Compass For Collectors.﻿ We have a large selection of magnificent nautical compasses .This beautiful brass compass is in good working condition.﻿﻿ This Compass Is Solid Brass Compass. This solid brass compass is durable and heavy for its size. It is a functional compass and has a lid. 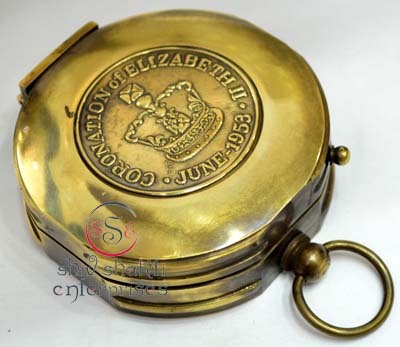 Inside the lid is a mirror.﻿﻿ This is a reliable large size brass polished Brunton Compass﻿. This solid brass compass is durable and heavy for its size. It is a functional compass and has a lid. 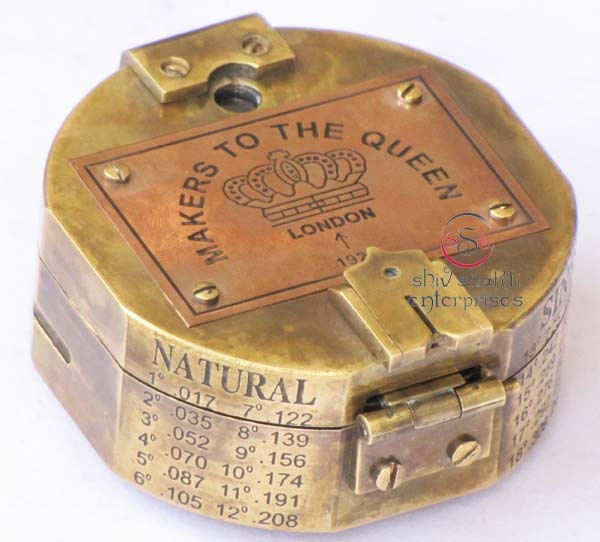 Inside the lid is a mirror.﻿﻿ This is a reliable large size brass polished Brunton Compass that comes in a wood box with brass inlay. This compass is made of fully brass. 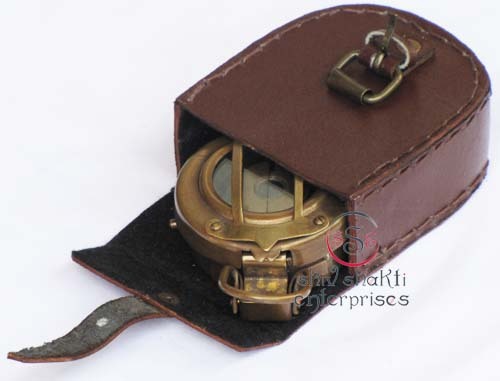 ﻿The Hampton Nautical solid brass push button antique pocket compass is a Antique to a mirror-like shine and is a great companion for the true navigator﻿. A push button connected to a ring when pushed will pop open the compass and reveal a Antique mirror-like back lid. 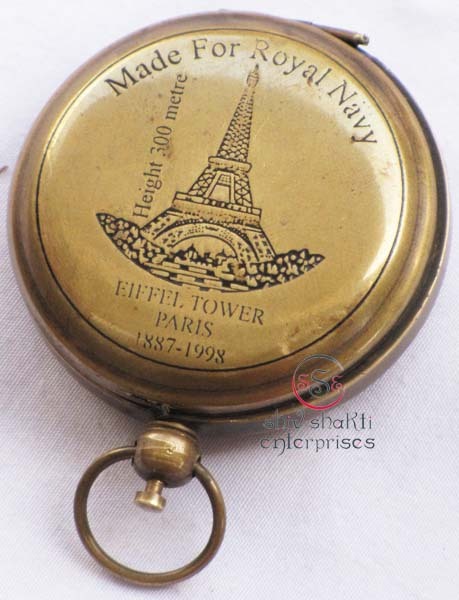 ﻿Nautical solid brass push button antique pocket compass is a Antique to a mirror-like shine and is a great companion for the true navigator﻿. A push button connected to a ring when pushed will pop open the compass and reveal a Antique mirror-like back lid. This solid brass compass is durable and heavy for its size. It is a functional compass and has a lid. Inside the lid is a mirror.﻿﻿ This is a reliable large size brass antique This is an antique Compass. This compass is made of fully brass. 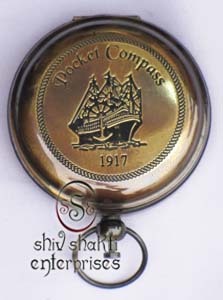 Compass Size- 3" X 2" & Cover Size- 8 x 7 x 3.3cm﻿. ﻿This Compass Is Solid Brass Compass. 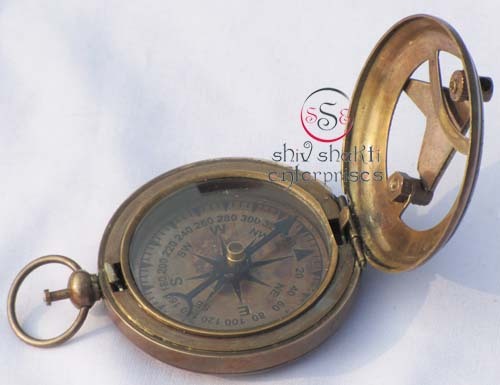 It Is Beautiful Compass For Collectors.﻿ We have a large selection of magnificent nautical compasses .This beautiful brass compass is in good working condition.This is beautiful Antique Finish Push Button Marine Compass. All work is hand Made. This is best quality Product. ﻿It Is Beautiful Compass For Collectors.﻿ We have a large selection of magnificent nautical compasses .This beautiful brass compass is in good working condition.﻿﻿ This Compass Is Solid Brass Compass. ﻿This solid brass compass is durable and heavy for its size. It is a functional compass and has a lid. 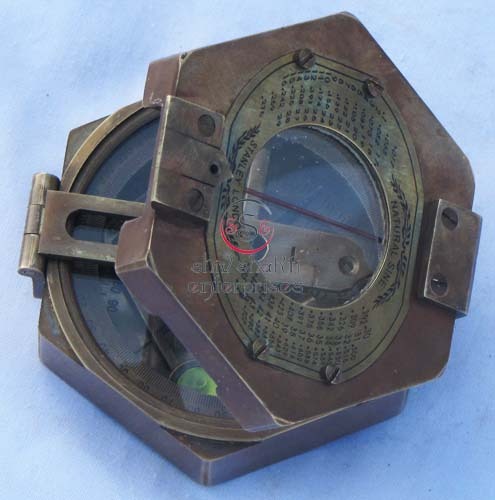 Inside the lid is a mirror.﻿﻿ This is a reliable large size brass polished Brunton Compass﻿. 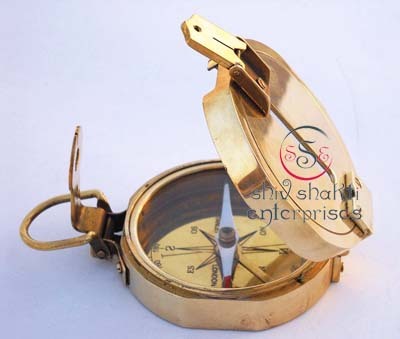 ﻿This antique compass looks Push Button Compass It has a brass trim and a smaller face. 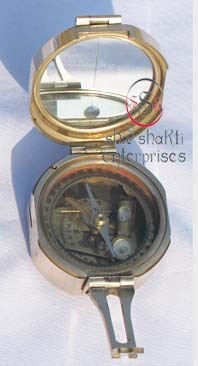 A push button connected to a ring when pushed will pop open the compass and reveal a Antique mirror-like back lid. Front Engraved " THE MARY ROSE 1511-1545".